Every fifth public Wi-Fi network in host cities is a risk to use, Kaspersky Lab says. If you’re planning on visiting Russia during the World Cup, be careful what kind of information you’re sharing over the internet, because not all public Wi-Fi networks over there use traffic encryption. This is according to Kaspersky Lab, whose research of roughly 32,000 public Wi-Fi networks in World Cup 2018 host cities suggests that a significant part is unsafe. The research says 7,176 networks are still unsafe, and warns visitors to be vary of their personal data. The networks were analysed in Saransk, Samara, Nizhny Novgorod, Kazan, Volgograd, Moscow, Ekaterinburg, Sochi, Rostov, Kaliningrad, and Saint Petersburg. 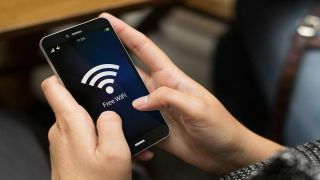 The three cities with the highest percentage of unreliable Wi-Fi networks are Saint Petersburg (37 per cent), Kaliningrad (35 per cent), and Rostov (32 per cent), while Saransk (10 per cent), and Samara (17 per cent) are considered safest. “The lack of traffic encryption, coupled with large-scale events – like the FIFA World Cup - make wireless Wi-Fi networks a target for criminals who want easy access to user data. Despite about two-thirds of all access points in FIFA World Cup host cities using encryption based on the most secure Wi-Fi Protected Access (WPA/WPA2) protocol family, even these access points can’t be considered secure if the password is visible to everyone. "Our research shows, once again, that cybersecurity involves addressing not just certain aspects, but the entire infrastructure. FIFA World Cup 2018 has confirmed that the event itself is secure - but users should be aware that clearly its host cities’ public Wi-Fi hotspots are often not,” said Denis Legezo, Senior Security Researcher at Kaspersky Lab. Kaspersky Lab suggests World Cup visitors to be extra careful, avoid open networks, use a VPN and turn off Wi-Fi when it’s not in use.